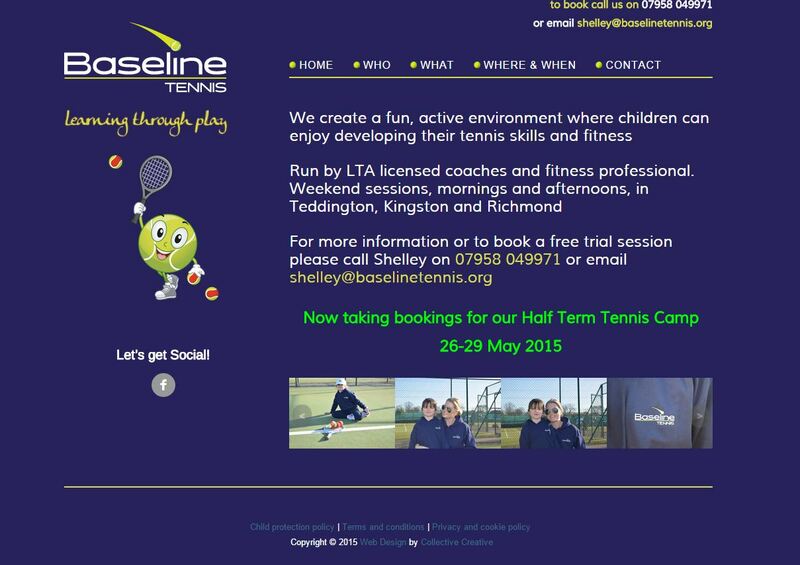 Baseline Tennis are a local company who specialise in providing Tennis coaching to children. A start-up business with plenty of passion for their work, they got in touch with us to find out how we could help create and develop their brand. 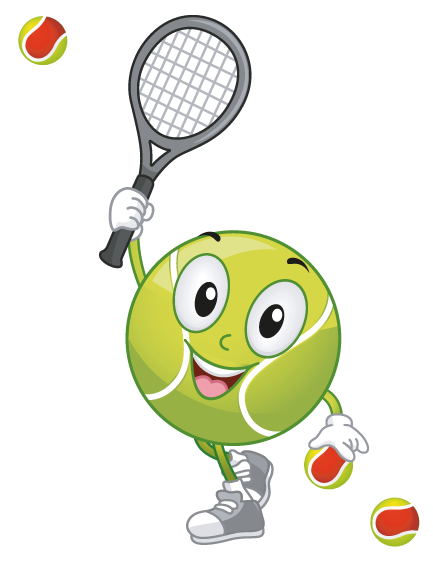 After a consultation with Baseline, we developed a striking logo, and implemented ‘Buddy’, their Tennis Ball shaped mascot into the branding to give their marketing materials a child-friendly feel. We created the logo using an athletic-looking typeface with a tennis ball in motion for the ‘i’, with a bold green underline to continue the tennis court theme. 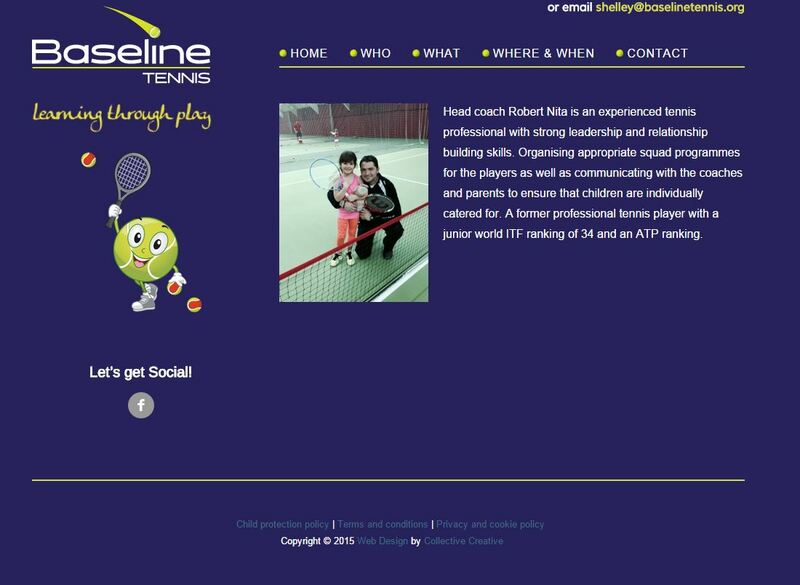 The design elements of the branding were carried through into the build of a simple WordPress website with pages created around the ‘Who, What, Where and When’ of Baseline Tennis, allowing them to easily update information on their website for visitors. After the branding and website was established, we created posters, leaflets and magazine ads for local publications. 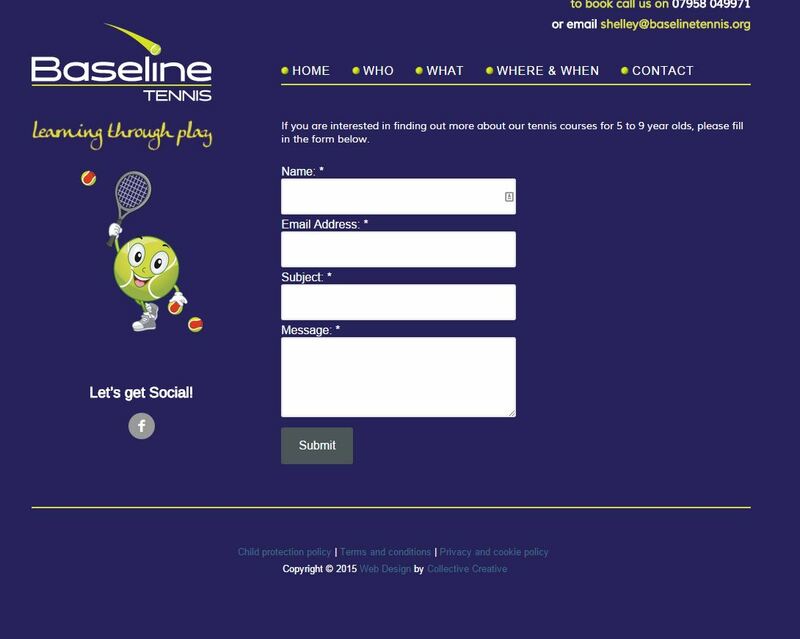 We also set up a fully branded Facebook page for Baseline Tennis and gave suggestions and advice on how best to use this social networking platform for their business.